The discovery of synthetic polymers (long chains of carbon) led to the development of thousands of useful products such as nylon and polystyrene. 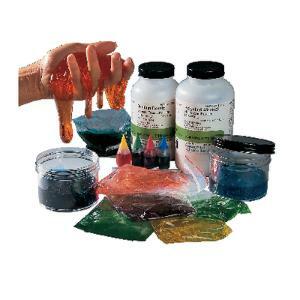 With this lab, your students can become chemists and make their own polymer — slime. In addition, students can follow the activities in the lab to investigate the many forms and uses of man-made polymers. Developed by Science Kit’s Product Development Team. Includes materials for 100 students and instructions. Grades 4–8.